Tribute Page Update: Half Full and Counting! Books have literally been flying off the shelves since ‘Mother of All Mothers’ was released this June 2014. They’re selling so fast, in fact, that we’re already making plans for the 2nd print run!! Thank you all for making this possible! I wanted to let all of you know that the Tribute Page for the second print run of ‘Mother of All Mothers’ is now open! Space is limited, and the page is already over halfway full. The price is discounted at $135 USD which includes one line on the tribute page + 2 free books + shipping/handling worldwide. If your child’s name was on the tribute page in the first edition, you are more than welcome to purchase a spot again in the second edition. Unfortunately there is only enough room in the book for one tribute page, so each subsequent edition of the book will have a different “In Loving Memory” tribute page. Parents are unfortunately joining this horrific club every day, and we wanted to open the page each print run so others could memorialize their child in this lasting, beautiful way. If you’d like your child included on the Tribute Page again, please email me asap at abedformyheart(at)gmail(dot)com and I’ll send you detailed info about how to purchase your spot. Spaces are limited and they are filling quickly! I’ll be surprised if the page is still open by the end of this weekend. This also makes a wonderful gift for a friend or loved one. 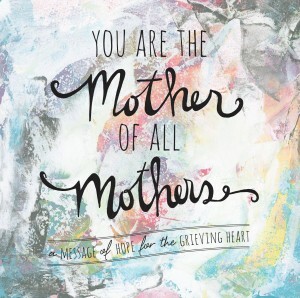 Surprise your friend or family member with a loving tribute in ‘Mother of All Mothers’. Books from the second print run will most likely arrive sometime Nov/Dec 2014, depending on the printer’s queue. I’ll do my best to ensure they get to you in time for Christmas. Thanks for supporting ‘Mother of All Mothers’! 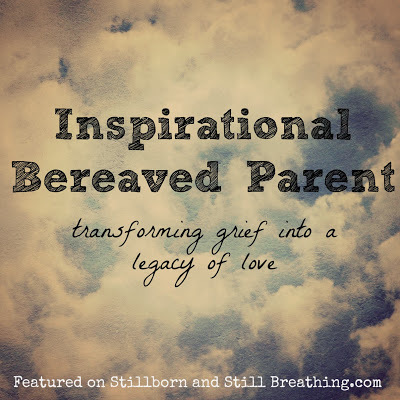 We’re comforting and empowering loss moms one book at a time. Literally all over the world. I couldn’t do what I do without all of you! Thank you from the bottom of my heart for helping me help others. ** Help Angela Miller WIN two international awards at the prestigious UK #butterflyawards. You can vote multiple times a day! She needs your votes to win!! 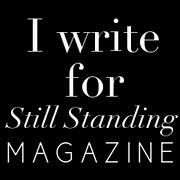 If Angela’s writing, her book ‘Mother of All Mothers’ and the online support she offers at A Bed For My Heart, www.abedformyheart.com and Still Standing Magazine have impacted you, say thank you by voting for Angela HERE: http://bit.ly/1tuGJWC AND here: http://bit.ly/1pveJRq.